Each summer young people from across the region take part in Mayflower Summer Youth Project to be part of a massive production. The project takes place between 29th July and 12th August with a company of 200 young people rehearsing and then performing on our Mayflower Theatre stage. This much loved tale of Guys and Dolls features some of Broadway’s greatest show stopping tunes including Luck be a Lady, Sit Down you’re Rockin’ the Boat and My Time of Day. Applications for the Film & Media crew 2017 are currently open for ages 13-18. If you are interested in Film, Photography or Social Media submit your application before Monday 8th May. Experience is not necessary. For more information please visit Mayflower Engage or email us on engage@mayflower.org.uk. Each summer young people from across the region take part in Mayflower Summer Youth Project to be part of a massive production. In 2016 MSYP brought The Pirates of Penzance to life on the Mayflower stage. City Eye was delighted to once again work with a group of young people to provide Film and Media coverage throughout the project - from Audition to the final curtain. The Film & Media team's work included filming, photography and creating content for social media. 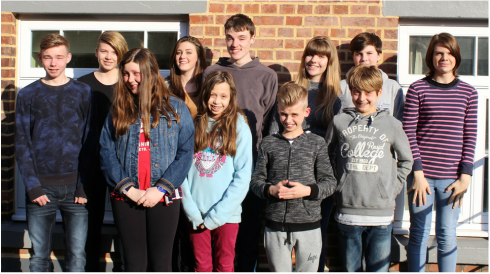 Each summer young people from across the region join Mayflower Summer Youth Project which in 2015, produced the spectacular production Oliver! City Eye was thrilled to be invited to work with a group of young people to provide Film and Media coverage of the project - from Audition to the final curtain. Our group of 13 - age 13 to 18 - produced amazing work across video, stills photography and a social media campaign to encourage engagement from both those taking part and the general public. Each has studied for their bronze Arts Award along the way. Film work has included videoing and recording vox-pops at auditions and throughout the rehearsal process, setting up and recording formal interviews with members of the cast and creative team, and finally filming the live performances themselves. We have been blown away by some of the technique developed, the professional way that the young people worked and the quality of the footage they gathered.